Disclosure: Artsy Couture made this metal print for me in exchange for an honest review. All opinions are my own. I have hinted for a few weeks that life here has been a bit crazy. Two out of the past three weeks I have spent at Cape Cod with my parents. My parents have decided the time has come for them to move into a 62+ condo. This has meant helping them move and helping clean out the old house. The move itself is only 0.7 of a mile, but the smaller condo is very different than the house my grandparents built and the view is nowhere near as nice. They are going to miss the view of the marsh, bay and especially the beautiful sunsets (plus seeing the fireworks from their deck). We are all going to miss the house, but know it is time and for the best for my parents to sell it and move. So after two weeks of unpacking, packing and going through things plus moving lots of boxes and bags (mostly of fabric and books) up and down the stairs and more, I have been absolutely exhausted. I literally slept most of the first weekend home after the first week. I finally now am feeling like summer is just beginning. 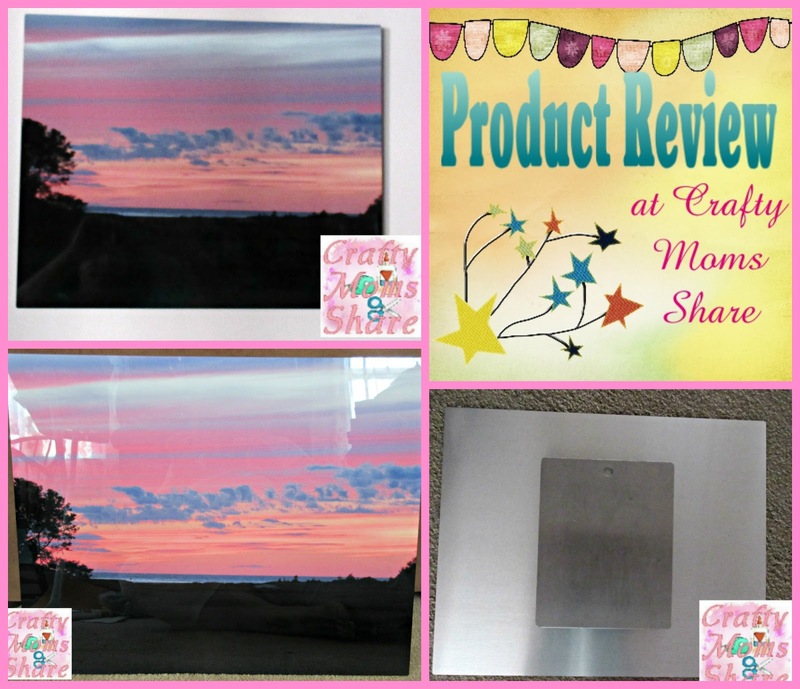 When Artsy Couture first offered me a review product, it took me awhile to figure out what photograph I wanted to do. Then I realized the ideal thing would be to immortalize the beautiful view. I wanted to check out their metal prints. I hadn't really heard of it before. I sent them a picture from my phone, but it was not high enough in quality. I went to my archives and found this photograph from a couple of years ago. I believe it was the night of the fireworks. This is the view from the house. It is so beautiful and the sunsets are almost always gorgeous there. 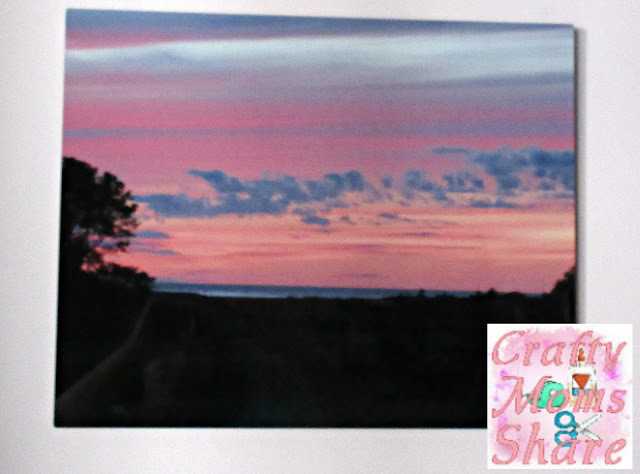 The metal print is 16" by 20". The metal print itself is shiny. It was hard to photograph because of reflections due to the shine. However it is absolutely gorgeous. (I am not sure I want to give it to my parents anymore. It looked great on my wall.) The colors are vibrant (and again I did not get as a great of a photo that shows the true colors. It is also very lightweight. I was surprised at how light it is. 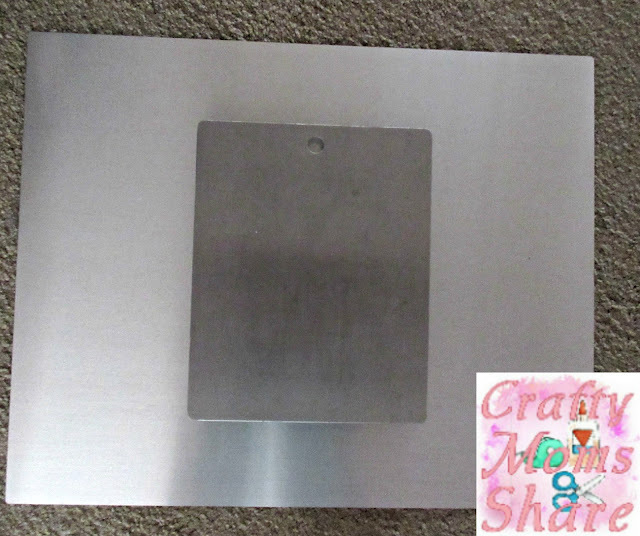 The back of the metal print has a metal box with the hole to hang it. 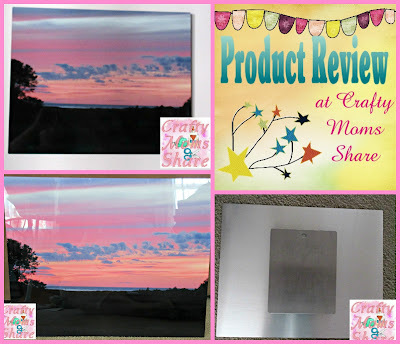 I wasn't sure how one hung a metal print, but it is actually really easy. Honestly this metal print weighs less than the framed photographs we have. It is amazing how the process really caught the colors in my original photograph. It is absolutely beautiful and brings back so many great memories of the night but also of the house that I have been spending vacations at since I was younger than Hazel. 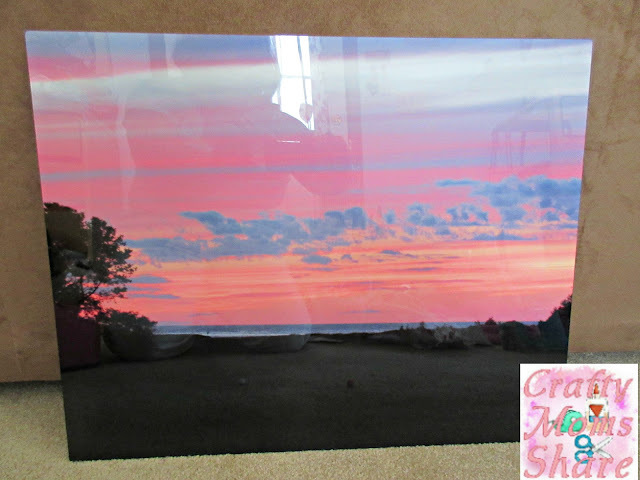 The metal print is a nice change to the canvas prints we already have. Though my favorite print is still our family photo on a canvas. It just makes me smile to see the three of us smiling together and always brightens my mood. However this new metal print is a close second. When you are looking for some photo decor I hope you will check out Artsy Couture. They do canvas prints as well.